One of the main benefits of a law career is that you will always be able to find work. Lawyers are in demand across all industries. You can easily move between law firms when you want or start your own business. This type of job security is rarely available in other career fields. Lawyers are needed everywhere. A second benefit is that you are free to live nearly anywhere you want. You can move between cities or parts of the country without any problems. This freedom allows you to live the lifestyle that you want without being tied to a specific area for your entire career. 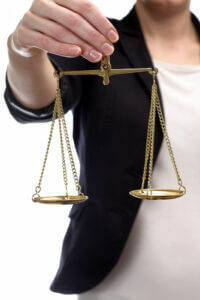 A benefit of pursuing a career in law is the potential to earn a very good salary. Experienced and talented attorneys can make a large amount of money every year even practicing the most basic forms of law. This will allow you to live a comfortable life. A benefit some people overlook is that a career in law teaches you how to legally protect yourself and your loved ones. Your knowledge will allow you to avoid potentially disastrous legal situations. You can also help your family and friends with legal problems to make their lives easier. A career in law allows you to study what really interests you. There are many different areas you can focus on from criminal and contract law to entertainment and personal injury law. You have the opportunity to find something you enjoy and turn that into a career. A final benefit is that you will be genuinely helping others. You will make a difference in the lives of your clients every day. The ability to help people who need representation or a criminal defense will give your career meaning that is not available in many other fields. Becoming a lawyer is one of the most flexible and rewarding career paths available today. It puts you in a position where you can control your life while contributing to society as a whole. Getting an online LL.M. degree is a worthwhile pursuit that allows you to have many career opportunities.